Janet Mock – writer, leader, friend, and transgender rights advocate – is creating a more equal world by sharing her courageous story, and inspiring others to do the same. Soon after coming out as transgender in a compelling Marie Claire article, the published author left her career at People Magazine and embarked down a path that merges her love of writing and her commitment to equal rights advocacy. Pioneering scholar, author, and feminist Barbara Smith praises, “Like Richard Wright and Maya Angelou, Janet Mock brings us into a world we may not know and with breathtaking insight, courage, and masterful craft makes her story universal.” Indeed, one of the most captivating things about Mock’s memoir, and her activism, is her ability to take a deeply personal story and tell it in a way that is approachable, wide reaching, and transformative. Merely publishing her story is only part of Mock’s vision to redefine realness; getting the memoir into the hands of those who might benefit it is just as critical as finding words that are accessible and honest. 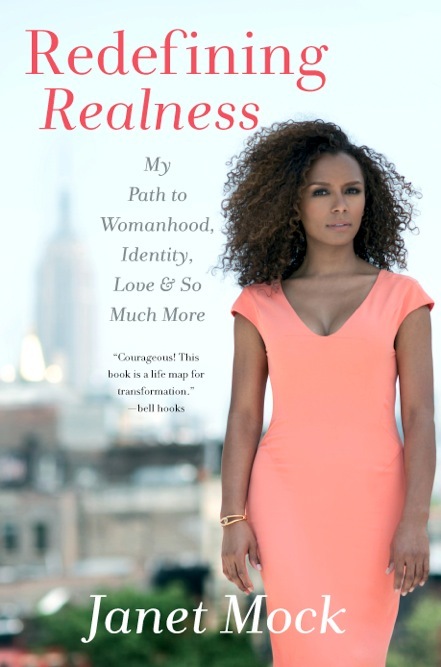 Redefining Realness is the perfect way to describe Janet Mock’s inspiring, humble, and authentic efforts to create a more equal world. Read all about her new book, her “Storygiving Campaign,” and her advice for trans activists and allies in our full profile.